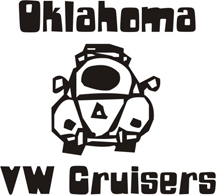 Oklahoma Vw Cruisers • Amazing Stolen van story!!! Re: Amazing Stolen van story!!! Wow, gotta feel sorry fo the shop that did all the work. Hope they can get some of their $'s back. You know Allstate will keep all the money from the auction. Or maybe it's the guy overseas whose gonna get hosed? I bet all involved are screwed. whats the statue of limitations on that crap??? ?